The Tea Party have long been slagged as derivative. “They sound too much like the Doors!” screams one corner. “Zeppelin copy-cats!” cries another. The first complaint isn’t true; singer Jeff Martin has a Morrison-like vibe but the Tea Party sound nothing at all like the Doors. The second carries some weight to it, especially when it’s 1995’s The Edges of Twilight we’re talking about. Due to an early connection with folk singer Roy Harper, a cover of “Train Kept a-Rolling”, and exotic world music influences, the Tea Party have long been compared to the mighty Led Zeppelin. This was cranked up a notch on The Edges of Twilight. From dirty electric blues, folksy English-sounding ditties, and and wealth of stringed instruments from all around the world, the Tea Party just went for it. Though many praise the band’s prior album Splendor Solis (their major label debut) as a high water mark, Twilight exceeds it in almost every way. I seem to remember reading that the album had something like 50 different instruments on it. The sheer ambition and skill involved in pulling off an album this complex has to be admired. That all sounds very heady and sophisticated, but the first single and opening track “Fire in the Head” rocks plenty hard. A perfect 50/50 mix of the exotic and heavy sides of the Tea Party, “Fire in the Head” is savoury. The Zeppelin comparisons are unavoidable, but because Jeff Martin is not that kind of singer, it has a darker more ominous ambience. “The Bazaar” then takes it up a notch and into North Africa. Still heavy, but with the world music more prominent, “The Bazaar” too was a single and a hit. Let’s face it, the last major band to combine Gibson Les Pauls and world music in this way was in fact Led Zeppelin. Is that a reason to criticize the Tea Party? The answer is no, because they did not choose to do something easy. They took the hard road with The Edges of Twilight. 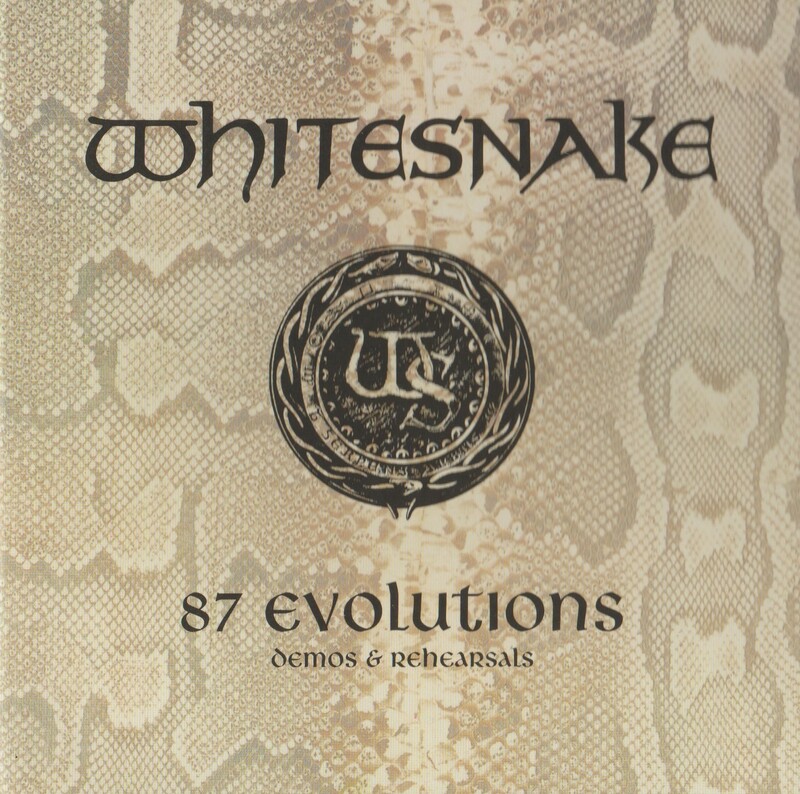 There are many excellent songs on the album, including another single “Sister Awake”, one of the most complex tracks. 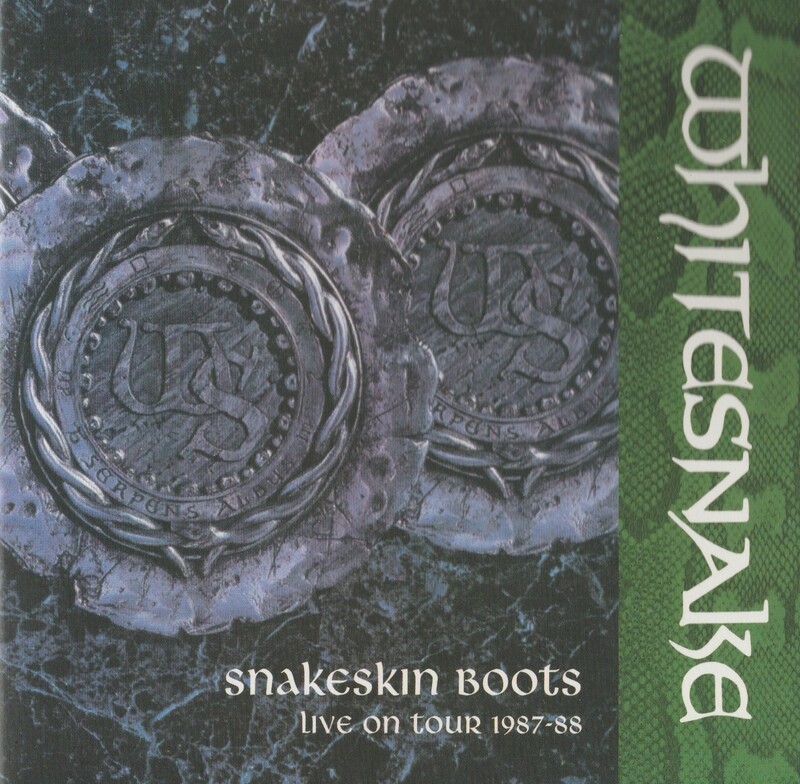 There are heavy electric blues tracks like “Turn the Lamp Down Low” and “Drawing Down the Moon”, and fully acoustic songs like “Shadows on the Mountainside”. The best tracks are the most pompous. 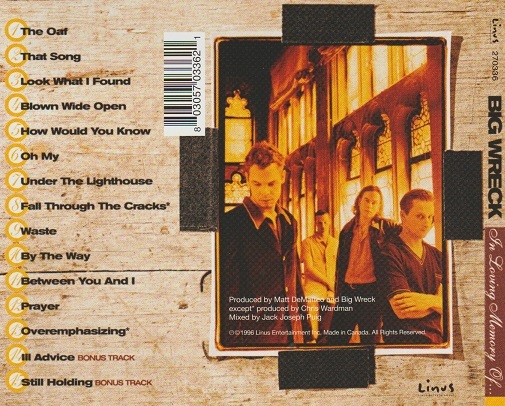 Similar to the singles from the CD, tracks such as “Walk With Me” and “Coming Home” are big and bold with loud choruses. Though not a single, “Walk With Me” is a fan favourite and considered one of their must-haves. But that’s not all! After several minutes of silence (oh, the 1990’s!) there is a hidden unlisted bonus track! “The Edges of Twilight” is a poem written and spoken by Roy Harper backed with music by Jeff Martin. Having a guy like Harper in the band’s extended family lent them credibility that other bands could not hope for. And then there’s even another hidden snip of music. After another silence is a few seconds of a rehearsal of the song “Correspondences”. Harper also appears on the bonus CD, on a song called “Time” which originally appeared on the 1996 Alhambra EP. This is a full-on 70 minute Tea Party track with Roy Harper singing instead of Jeff Martin. Ballady and somber, and then explosively electric, “Time” is a triumph that deserves a second look. (Other tracks lifted from that EP are acoustic versions of “Inanna” and “Silence”.) 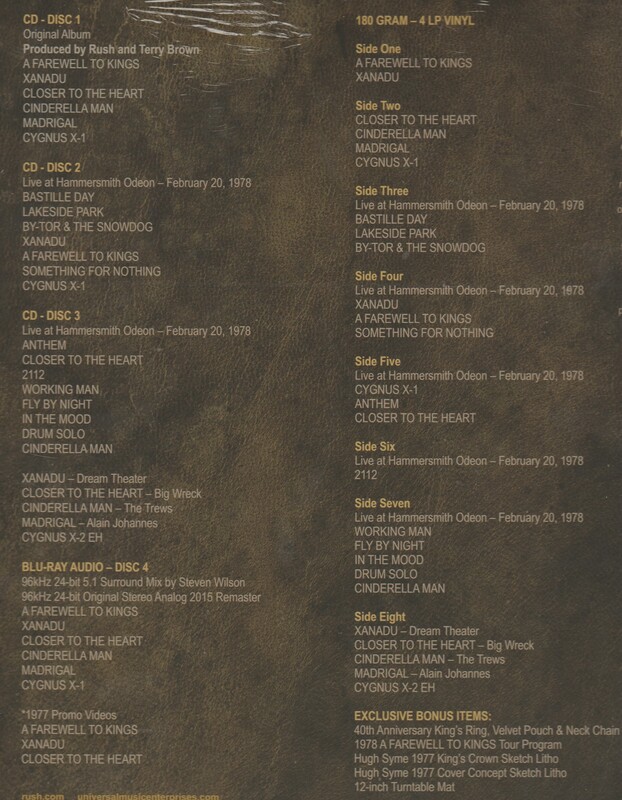 The bonus disc is otherwise loaded with demos, acoustic versions and alternate versions, and live takes. With the exception of “Time”, this is all purely supplemental stuff and mostly interesting to fans of the band. The demo versions are remarkable for how near-complete they are. The band did not need to tinker much with arrangements in the studio. There are ample liner notes and photos. Co-producer Ed Stasium praises the CD and says it is one of the top five he has ever been involved in. Serious praise, but the album deserves it. 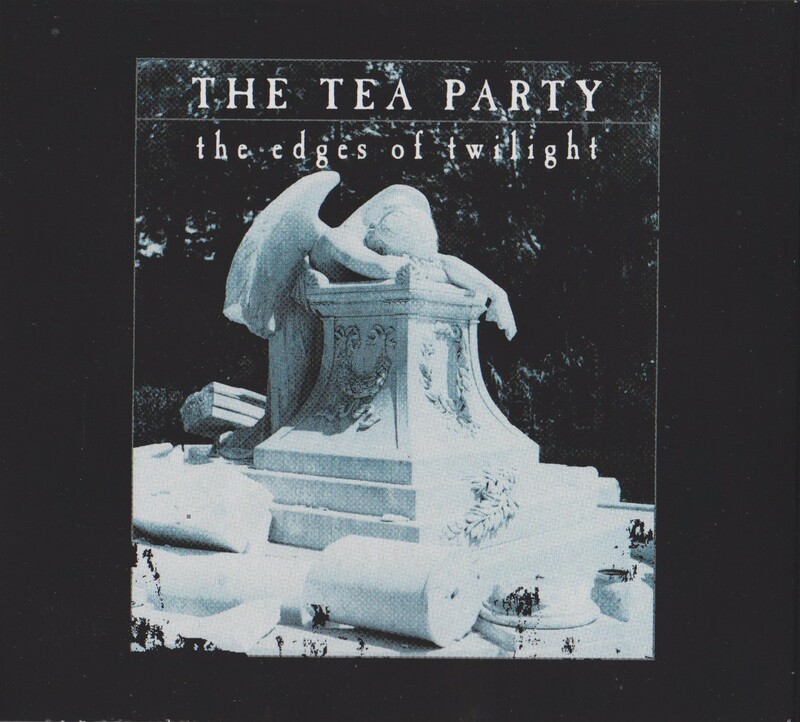 The Tea Party took a detour after this into the world of electronica, with 1997’s Transmission. 20 years later, The Edges of Twilight remains the most impressive Tea Party album and the most heady mix of world music and rock and roll. For those keeping score, now every single album from the original run of Deep Purple 1968-1976 has been remastered with some sort of deluxe edition. Come Taste The Band is the final album of this series. Deep Purple imploded shortly after and the band was no more until Perfect Strangers in 1983. Personally I have always liked Come Taste The Band right from first listen. However, I never heard the album until 1996 so the idea of a great Purple album without Richie Blackmore was not foreign to me. With open ears you can really appreciate what Deep Purple were up to on this powerfully rocking album. It has a solid groove, a much harder sound than Stormbringer and some greasy unconventional guitar playing from Tommy Bolin. Everybody is playing amazingly, even the coked-out Glenn Hughes who just rips it to shreds on “Gettin’ Tighter”, my favourite track. Paicey is awesome on said breakneck track. Really though there are no losers on Come Taste The Band. Every song is incredible right from the opener of the ferocious “Comin’ Home” to the philosophical “You Keep On Movin'”. Another personal favourite is the sliding groover “Dealer”, a tale of warning from David Coverdale to Glenn Hughes about his habit. Bolin takes his first and only studio Deep Purple lead vocal on the bridge. As with all previous special editions, the liner notes are excellent, revealing, and loaded with pictures. One fact I didn’t know: The band were going to kick out Hughes if he didn’t kick the coke. Bonus material is present. 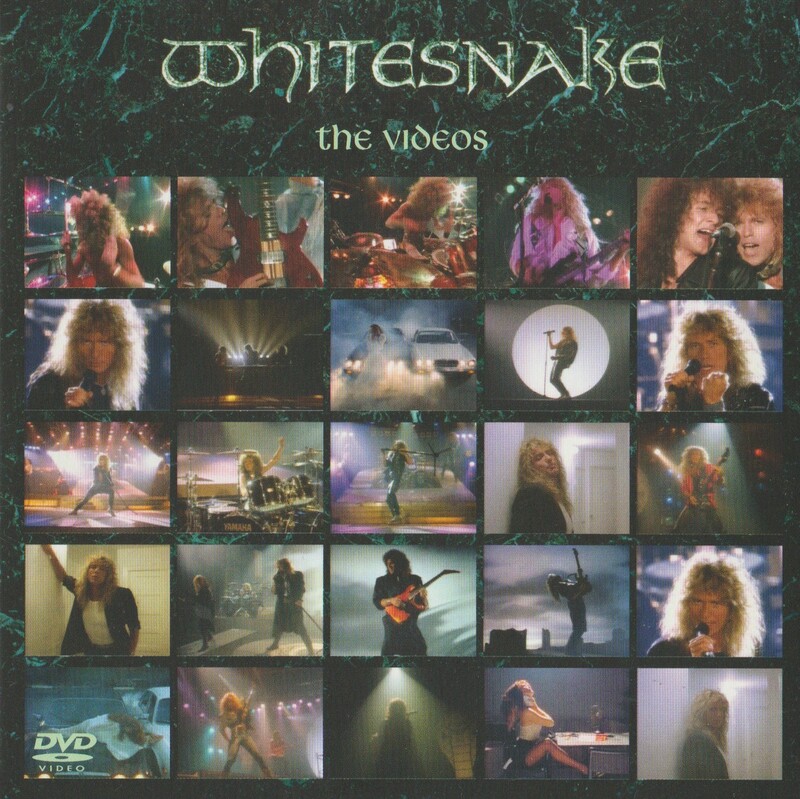 The single edit of “You Keep On Movin'” is tacked on to the end of disc one, but this is previously available on such albums as Singles A’s and B’s. 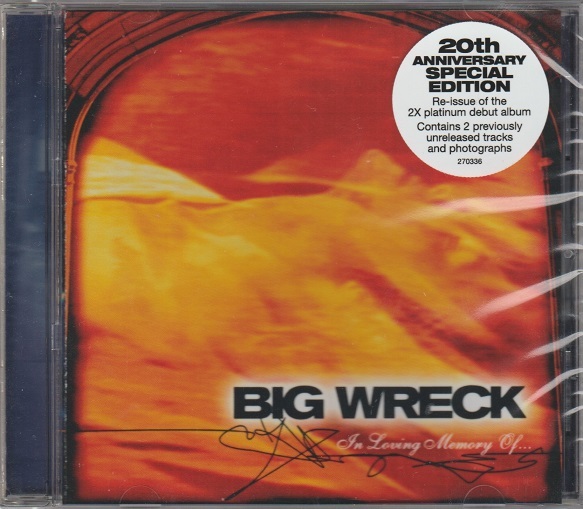 The second disc contains the entire album remixed by Kevin Shirley. Shirley is truly a great mixer. It’s hard to discern what he did differently here, except the songs are a bit more punchy. Some now continue on past their original fade points, revealing never before heard playing from the band, right to the end of the song. This was done on previous remasters such as Machine Head and I like this touch a lot. 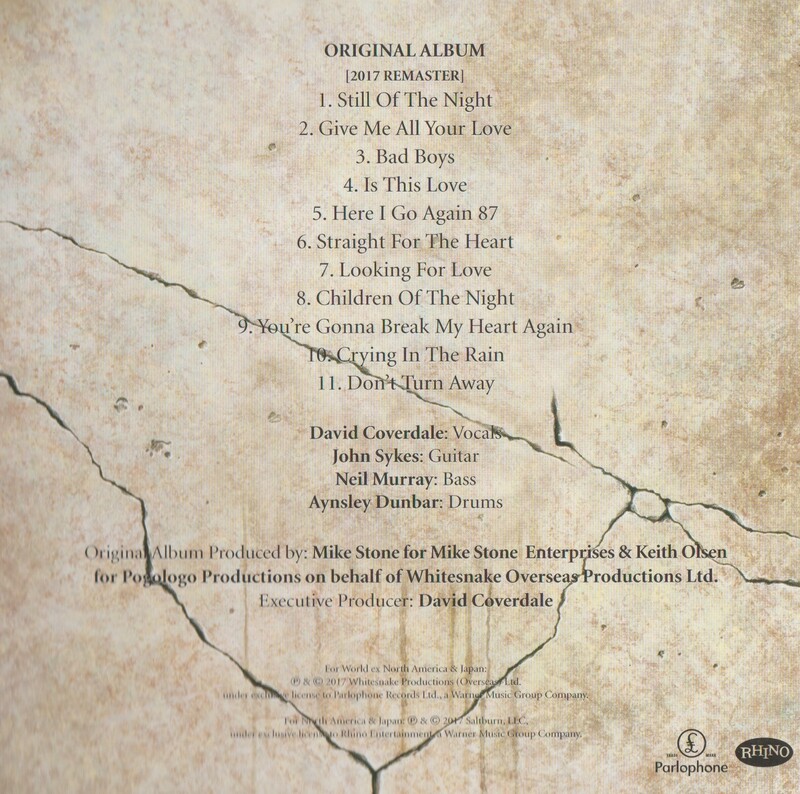 Two previously unreleased tracks are included. These tracks will be worth the price of purchase alone to Purple collectors. “Same In L.A.” is a nearly complete song with lead vocals and lyrics. 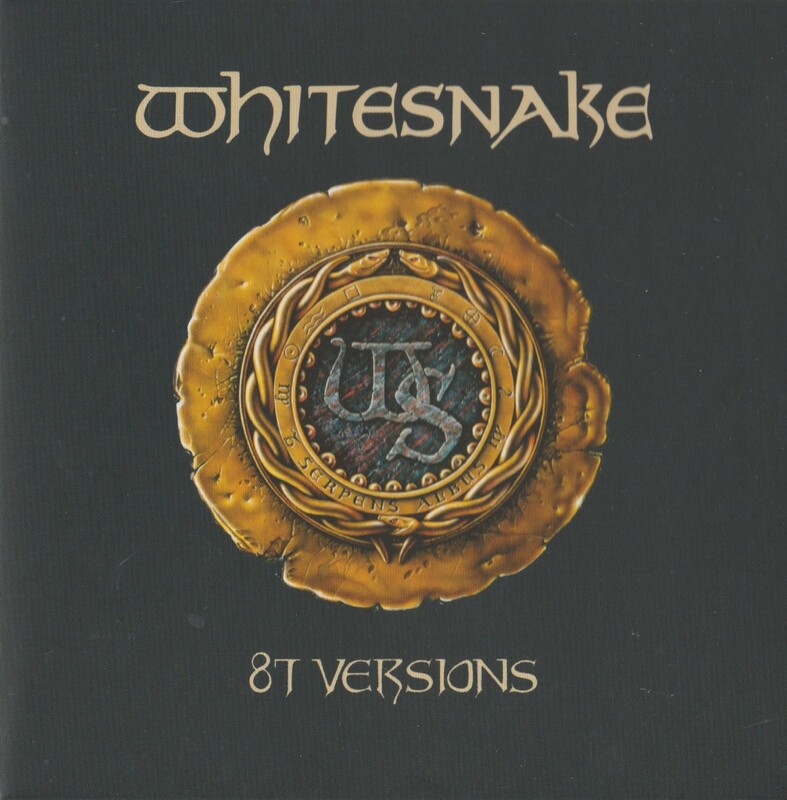 If it had been included on the original album, it would easily have been the most pop, it sounds more suited to Stormbringer material. “Bolin Paice Jam” is also unreleased — not even heard before on Days May Come and Days May Go or the limited edition 1420 Beachwood Drive albums. This is a massive, fiery jam capturing the best of both players. Difficult to understand why this was not included on the aforementioned two compilations, but it’s just awesome and I’m glad it’s out. Once again, Simon Robinson has outdone himself with the final Deep Purple remaster of this series. These albums, while expensive and difficult to obtain (mine took almost two months to ship) are well worth it to the faithful. Stormbringer, now available in the gloriously remastered series of Deep Purple special editions, is one of my favourite Purple platters. Now augmented with bonus material, it has finally been given the treatment it deserved. It’s certainly not everybody’s cup of tea, but Stormbringer has earned some begrudging fans over the years. I for one find it a more enjoyable listen cover to cover than 1974’s Burn. A lot of fans did not like the funkier, softer direction of the band. You can understand this, of course. A fan who loved In Rock, one of the heaviest records of any decade, could easily be turned off by the radio-ready soul funk of “Hold On”. Blackmore himself decried the funky direction of the band. Here’s the good news: Whatever Deep Purple set their minds to, they could do. And they could do it well. Blackmore may not have liked the album, and he did take a step back in the mix, (you can barely hear any guitar on “Hold On”). He could stilll adapt to and play any style. His playing here, while sparse, is sublime. Ian Paice takes to the funky rhythms very comfortably, laying down some excellent grooves. Jon Lord steps up to the forefront, supplying some excellent, funky keys. 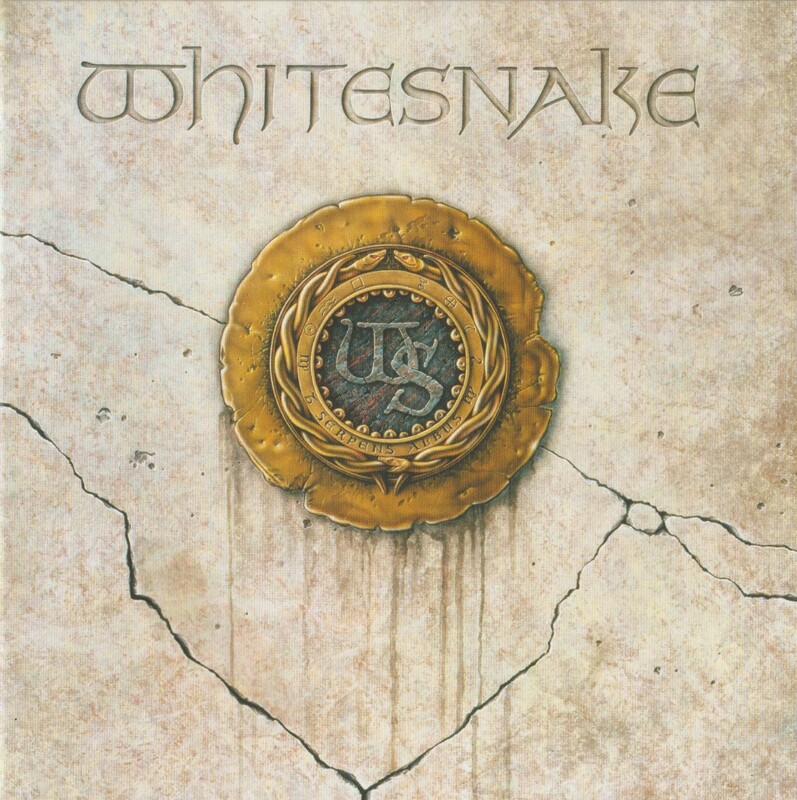 There are a few songs that harken back to the past: “Stormbringer”, the title track, sounds as solid as any epic the band had ever composed. It could have been on Burn as easily as this record. 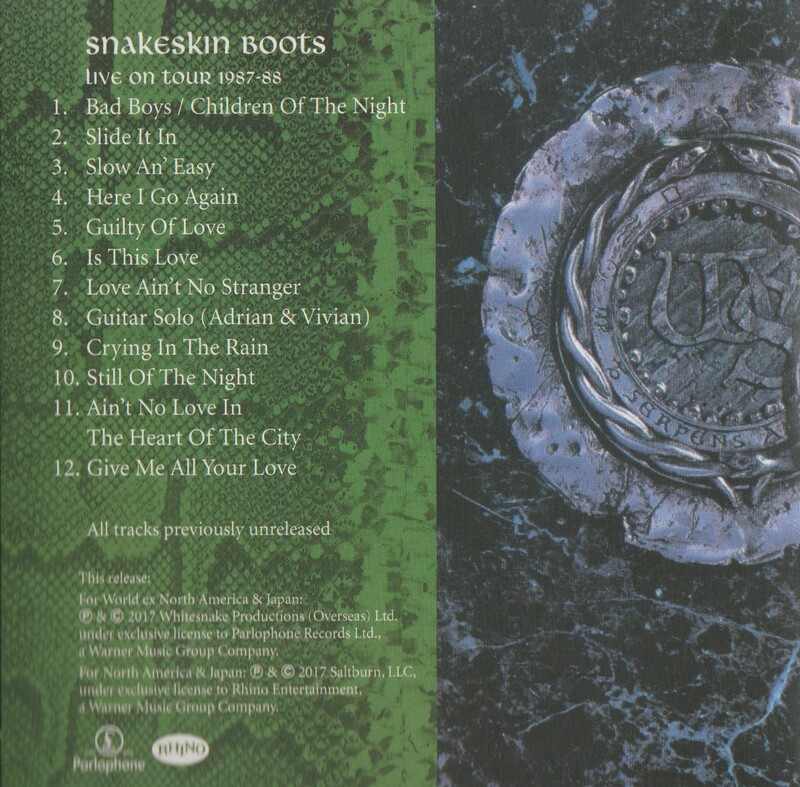 In fact, it stands out as being out of place: As the opening track, fans must have been shocked and surprised when the rest of the album was so different. Another song that has shades of older Purple is “The Gypsy”. It’s a slow mournful piece, perhaps akin to “Mistreated” from the previous album. The lyrics are uncharacteristically bleak. One track showed an interesting glimpse of the future. “Soldier Of Fortune” is an acoustic track which forshadowed much of the music Blackmore would do with Rainbow, and even now with Blackmore’s Night. 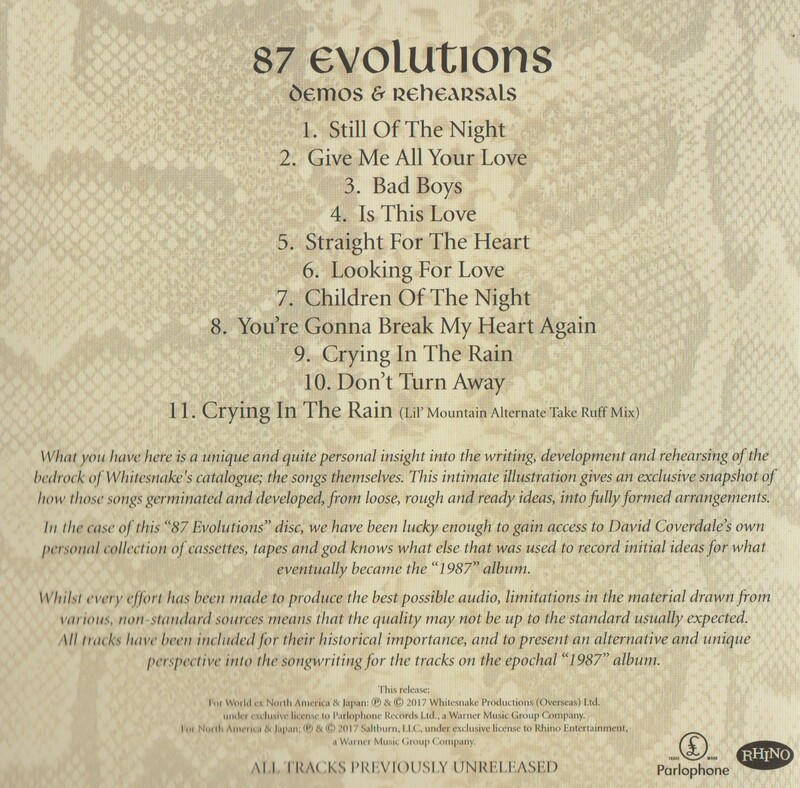 David Coverdale has performed it live with Whitesnake. I think it’s one of Richie Blackmore’s finest compositions. Of the other tunes, “Love Don’t Mean A Thing” is one of the funkiest, and one of the most entertaining. It’s just fun to listen to. David and Glenn co-sing this one. Ritchie’s solo is very understated, but appropriate. Glenn takes his first solo lead vocal with Deep Purple on “Holy Man”, a soulful ballad. “You Can’t Do It Right” features probably the funkiest guitar work of Blackmore’s career. It’s fascinating to listen to, and the band really cooks on this one. It’s one of the most extreme experiments of this funky Purple period. As with all the Purple reissues, this has been lovingly remastered. Finally you can discard your original CD, mastered for digital ages ago, but never really letting the subtleties of the music shine. Stormbringer, of all the Deep Purple albums, perhaps has more subtleties to hear due to the quieter nature of the music. Bonus material? 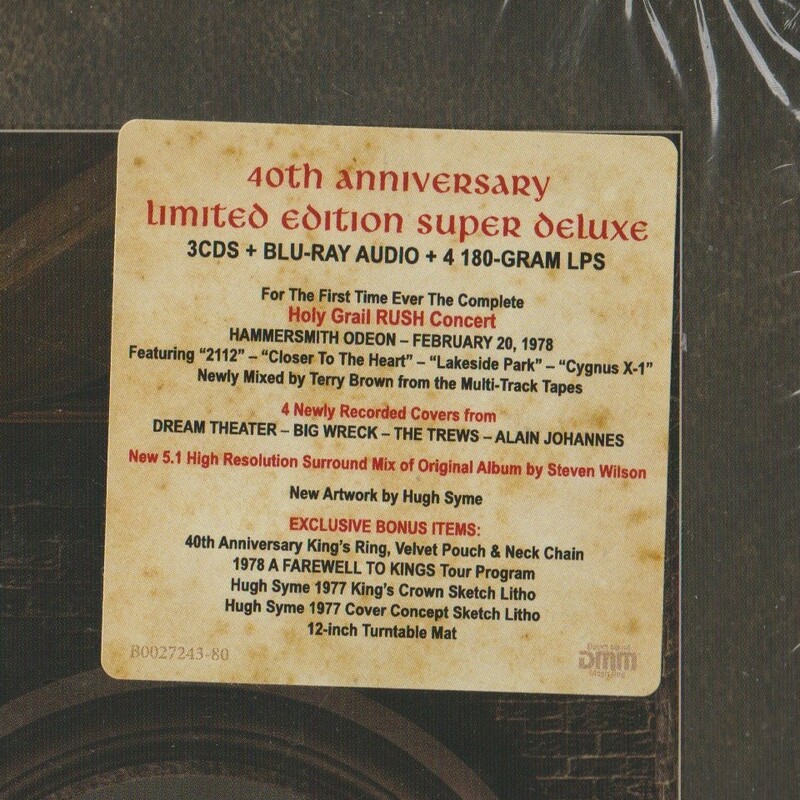 Oh yeah, there’s bonus material, in this case four remixes by Glenn Hughes. These remixes don’t replace the original songs, but they do act as a companion piece of sorts. Fresh light is shed on alternate takes incorporated into the mixes, and “Love Don’t Mean A Thing” is extended by over half a minute. “High Ball Shooter” is presented in an early instrumental form as well. As an added bonus, a second disc has been included. The second disc, exclusive to this edition, is a DVD containing the original 1975 quadrophonic mix of Stormbringer! Nice. Apparently, this disc is to be a limited edition so get yours while you can. I liked quite a bit, myself. As with many quad mixes from the 70’s, the songs often bear noticeable differences from the originals. Quad was a gimmicky fad, by today’s standards, but listening to it with the benefit of hindsight is quite enjoyable. Lastly, I must acknowledge the great liner notes. The most entertaining story included is in regards to “Love Don’t Mean A Thing.” While in Chicago, Ritchie ran across a street busker, who was snapping his fingers singing a song about money. Blackmore invited him onto Purple’s plane, collected Coverdale and Hughes, and jammed for 20 minutes with this guy who taught them the song and the lyrics. The band finished the song that became “Love Don’t Mean A Thing”, credited to the entire quintet, because nobody ever bothered to get the busker’s name. 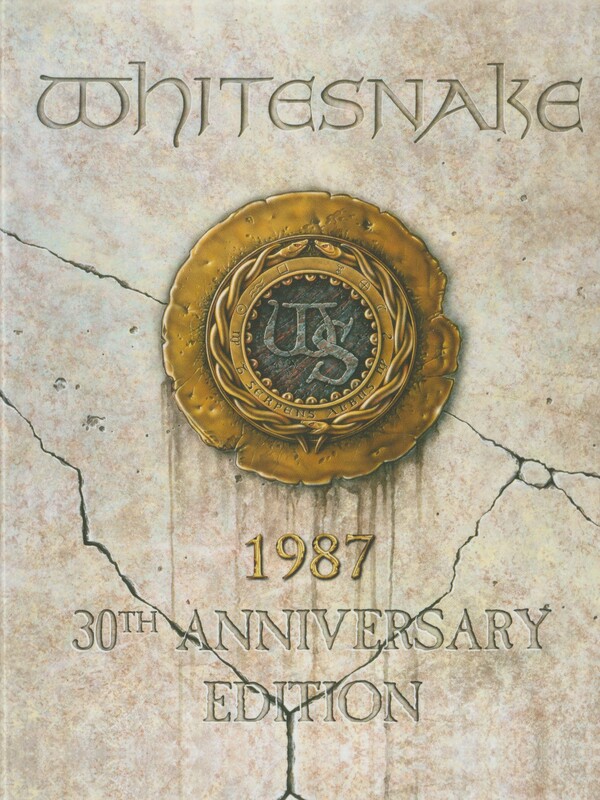 Pick up Stormbringer in this 25th Anniversary Edition, and finally you can feel comfortable discarding your original. 5/5 stars for both the music, and the reissue!